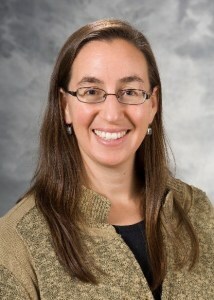 Sarina Schrager, MD, MS, a professor (CHS) in the University of Wisconsin Department of Family Medicine and Community Health (DFMCH), was named as one of five recipients of the Wisconsin Women’s Health Foundation’s (WWHF) 2019 Champions in Women’s Health Award. The award raises awareness about the remarkable work of talented health leaders in Wisconsin and recognizes individuals who have devoted themselves to improving the lives of Wisconsin women and their families. Awardees have demonstrated outstanding dedication to women’s health through exemplary achievement in their specific area of expertise. Dr. Schrager practices full-spectrum family medicine at UW Health Northeast Clinic. Her clinical and teaching interests focus on general women’s health. Her research interests include work-life balance and shared decision making for cancer screening. She and the other awardees will be honored by WWHF founder and president Sue Ann Thompson at the Champions in Women’s Health Awards Ceremony and Reception on Saturday, April 27th, 2019.